When concept cars make it to the production phase, most are a far cry from their original desirable looks and jaw-dropping presence and design. However, when the Subaru SVX arrived in dealerships in 1992 – it was visually almost identical to the show-stopping concept unveiled at the 1989 Tokyo Motor Show. Penned by the iconic Giorgetto Giugiaro, the car’s body was a muscular and swoopy visage of early-90s futurism. Its ultimate party trick was its massive glasshouse and unconventional split-windows, like that of the Lamborghini Countach or Delorean. Not many people are familiar with the SVX, and it’s easy to see why. Look at Subaru’s current range of SUVs, or the humdrum Impreza and Liberty that shared the showroom floor with this car at the time. Subaru is known for four-door, all-paw utilitarian workhorses and the SVX was such a departure for the brand, as a sleek two-door grand-tourer, designed with a blend of both performance and comfort – it unfortunately found itself somewhat of an orphan within its own house. 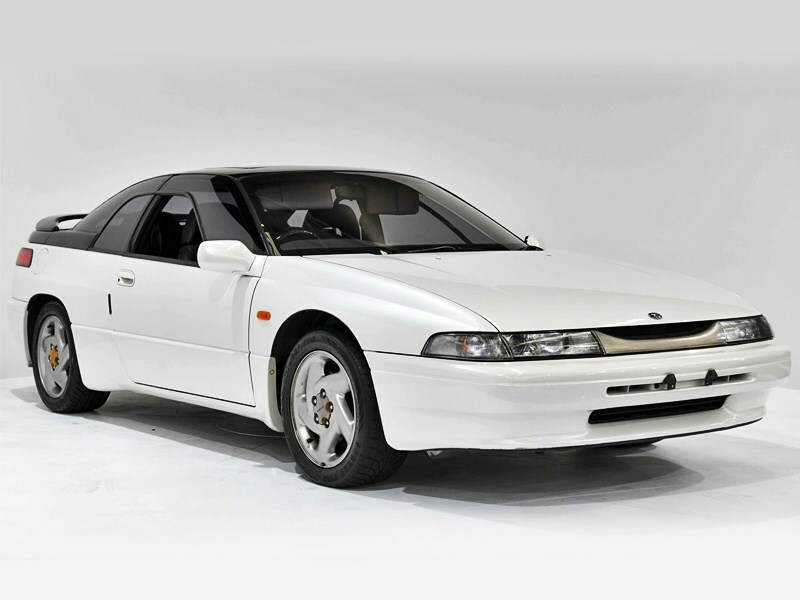 The SVX had room for four inside its massive glasshouse, and was powered by a 3.3lt EG33 flat-six with power to all four wheels. Subaru only produced around 25,000 of them over a few years before production ended in 1996. Just 249 were sold in Australia, and costed a hefty $73,000 to $83,000. This rare oddball Subaru is available via the Gosford Car Museum in NSW, and is listed for $15,000. The car is finished in White Mica Metallic with a black interior. Reportedly in outstanding condition both inside and out, the car is in excellent running condition. It’s an incredibly affordable way into owning car designed by an Italian household-name firm, and you’ll likely never see another one on the road. Shitbox Rally announces 2019 dates! Grab a mate or two, and tackle Australia’s toughest roads in the name of charity!